Make this summer vacation exciting for upcoming sportsman in your family. Don’t make your kid couch potato indulge them into outdoor games. This is an ideal gift for an upcoming Sachin Tendulkar in your family. Why waiting grab this opportunity. 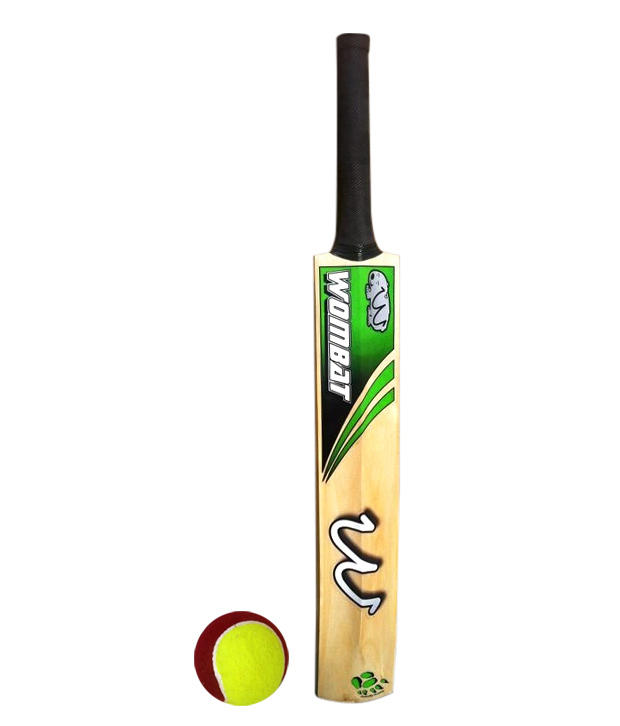 Get cricket bat online from Wombat and avail 68%+20%Off @Rs.444. Bring home your kid’s dream and admire your kids smile nothing is more worth than that.Buy cricket bat online from dealstan and get extra 20% off. Original price was Rs.1399 with 68%Off its Rs.444 but dealstan give special summer offer get 20%off more for just @Rs.355 and get Tennis ball free. Hurry!! limited period offer. Coupon code required.Flat 20% additional discount by using Use Promo-code FASHION at checkout. Wombat sports is one of the most recognized firms, known for its sports gear related to cricket and all accessories regarding the same. Cricket bats, gloves, pads, leg guards etc., name it and they have it all. Their superior quality sport products are trusted and used by many renowned players worldwide. Due to their high end quality products, thousands of loyal customers now believe in buying their accessories and gear. Note:- For warranty claims, brand visibility (sticker) should not be damaged. Barbie Dolls For Girls at Flat 20% off. For your Little Girl!